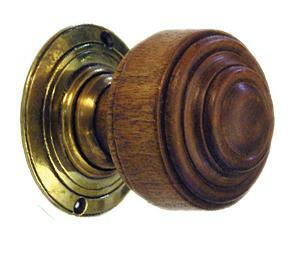 Our Oak St Pauls door knob has been copied from a Georgian Period design and is exact in every detail. great service- delivered exactly when they said they would. Lovely quality. would definitely recommend. Many thanks for your lovely feedback. Happy to hear that you are pleased with your purchase. The Oak St.Pauls is a beautifully made handle and adds the finishing touch to period doors.